The 2018 Volkswagen Atlas comes standard with a 2.0-litre four-cylinder engine that produces 235 horsepower. There's a lot of choice in the mid-size SUV segment, and most models are able to impress with a spacious and inviting interior, plenty of cargo space, and state-of-the-art safety and connectivity technologies. That said, very few models are as fun to drive and dynamic on the road as the 2018 Volkswagen Atlas. Introduced as a concept in 2013, the new Volkswagen Atlas has finally arrived on the market and is already very popular. With plenty of engine options and a luxurious and spacious interior, it's hard not to take a look at the German midsize SUV. The 2018 Volkswagen Atlas comes standard with a 2.0-litre four-cylinder engine that produces 235 horsepower. This engine focuses primarily on fuel economy, but it is still able to tow up to 909 kilos. The second engine is a much more powerful 3.6-litre V6 that offers an impressive level of performance. With this 276 horsepower and 266 pound-feet of torque, this engine can tow over 2,200 pounds. 4Motion AWD is standard on this engine. 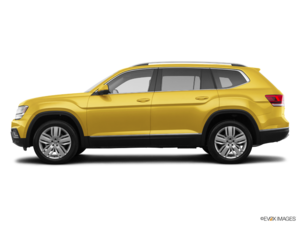 The 2018 Volkswagen Atlas has a lot of competition, but its owners and the media agree that it exceeds many of its rivals in terms of luxury and refinement. This is even more obvious when you set foot in the cockpit where high-quality materials are paired with an impressive build quality. There is also a lot of space in the new Atlas. The passengers in the three rows of seats will be comfortable, and there is nearly 600 litres of cargo space behind the third row. Lower this seat, and you’ll have more than 1,500 litres of total space. 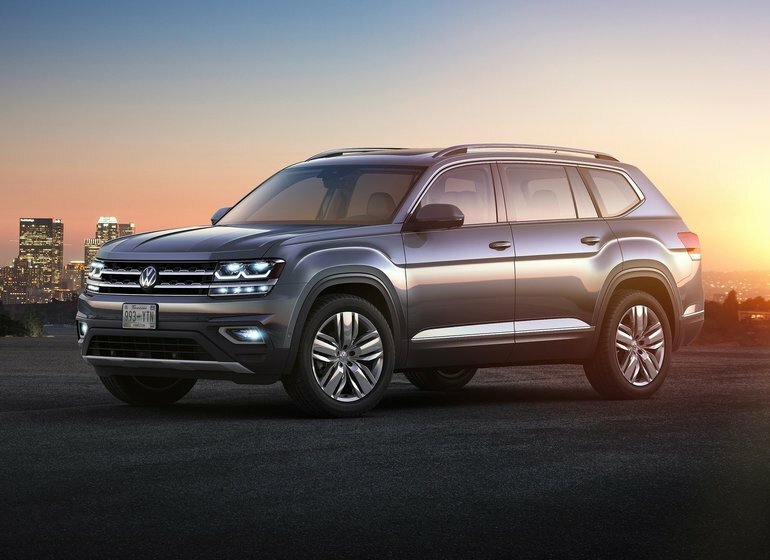 To learn more about the new 2018 Volkswagen Atlas, contact us today!